Curiouser and curiouser. But not curious enough. 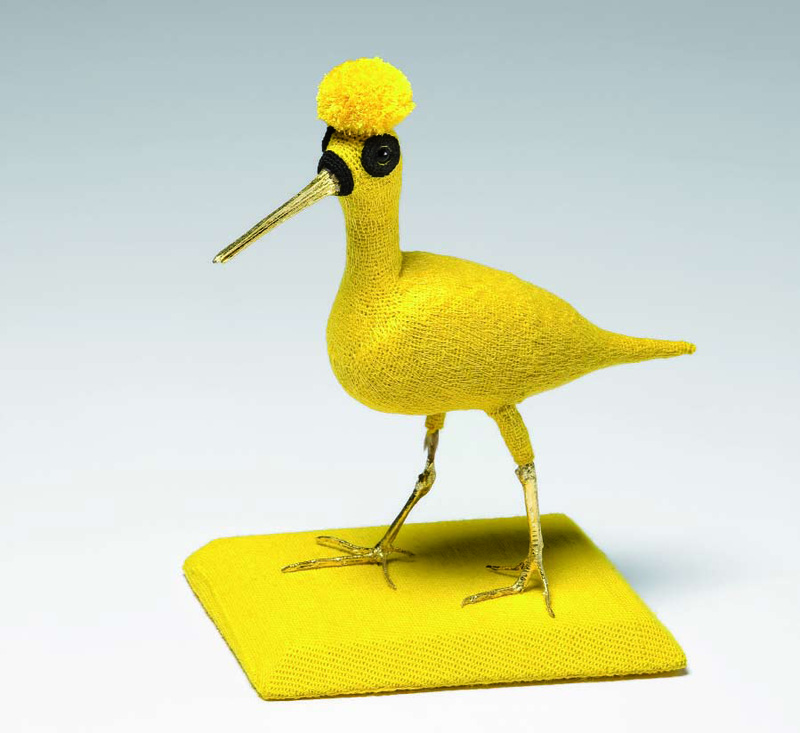 Louise Weaver, 'Golden Snipe', 2010, hand crocheted lambswool over, taxidermied Australian Snipe (Gallinago hardwickii), Australian red cedar (Toonaciliata) cotton perlé crochet thread, cotton embroidery thread, felt, gold leaf. Photo: Mark Ashkanasy.Les Renfrew bequest 2010, Newcastle Region Art Gallery collection. Courtesy: the artist and Darren Knight Gallery. The exhibition title Curious Colony: A Twenty First Century Wunderkammer appears blessed with potential. Fuelled by the double meaning of the word curious, it seems to promise a probing look at culture, piqued by the curiosity of colonists, as well as offering a bevy of curios or curiosities; artefacts collected to delight and educate. Unfortunately, while the show does have some stunning artworks, it doesn’t come close to the wonder of a wunderkammer. In Curious Colony, colonial and post-colonial artworks are presented simultaneously. Instead of crashing head on, starting a fist fight or even a healthy slanging match, mostly, they seem to get on ever so nicely. To my surprise, many of the contemporary artworks seem to mimic or pay homage to colonial artefacts rather than engaging in a critique of colonisation or even taking a critical look at our current culture. The specially commissioned Newcastle Chest, a new cabinet of curiosities, filled by contemporary artists, was most disappointing in this way. Louise Weaver presents taxidermied birds, exquisitely dressed in meticulously constructed suits crocheted in bright colours. Her sculptures are opulent and desirable. They seem funny and fey at first, but then the realisation dawns that there is something awful about kitting-out dead animals in fancy dress. I can’t decide. Is Weaver’s work an endorsement of the practice of killing animals for collections, or an oblique critique dripping with irony? If it’s a critique, the birds paid with their lives to make the point. Very ironic indeed. Joan Ross, still from 'When I grow up I want to be a forger', 2010. Courtesy the artist and Gallery Barry Keldoulis. The stand out (new) piece in Curious Colony is the video, When I grow up I want to be a forger, by Joan Ross (discussed earlier on The Post Post). 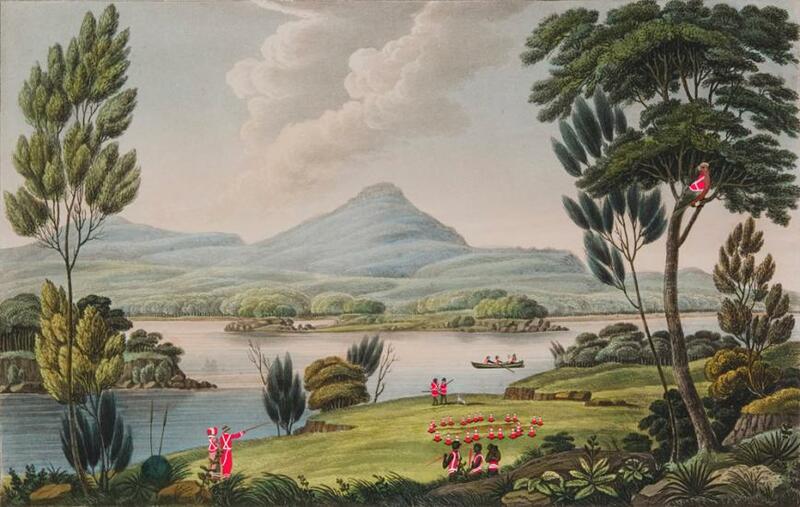 Here, her video is presented alongside its source material, Joseph Lycett’s 1824 etching, The Sugar Loaf Mountain, Near Newcastle, NSW. Ross responds to this colonial gem and makes it her own by transforming it into a witty, intelligent and incisive post-colonial critique of foreign invasion. Danie Mellor treads similar territory, but his sculptural tableaux, The Native’s Chest, which features a coffin covered in smashed white crockery, stuffed parrots, a kangaroo and an emu, is heavy handed in comparison. The real highlights of this exhibition are the colonial works: etchings, paintings, books and even silver mounted emu eggs by artists who, for all their dastardly colonial ways, were genuinely curious and found Australia truly wondrous. Our indigenous people, flora and fauna were so strange to them they couldn’t quite see straight. Their impressions are smoothed out, more ordered and tamer than the real. It’s both disturbing and intriguing to catch a glimpse of our Curious Colony through their eyes. Curious Colony is on at the SH Ervin Gallery until February 20, 2011.